Ensuring that your PDF files are fully protected against onward distribution (document copying/emailing), content copying and unauthorized printing - delivered using cost-effective and reliable software and services. 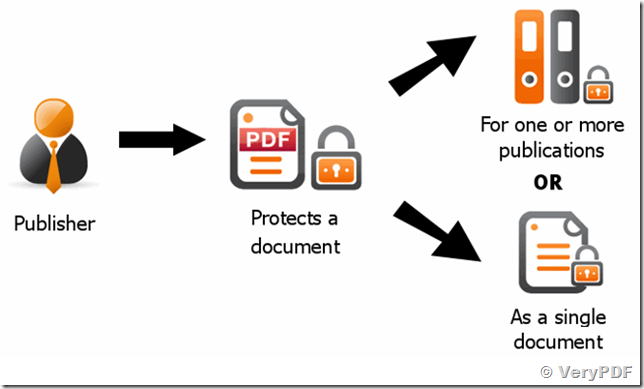 Hassle-free document security for PDFs – anywhere, anytime! VeryPDF Online DRM Security provides total PDF DRM protection for your documents through a multi-layered protection mechanism that does not rely on passwords. 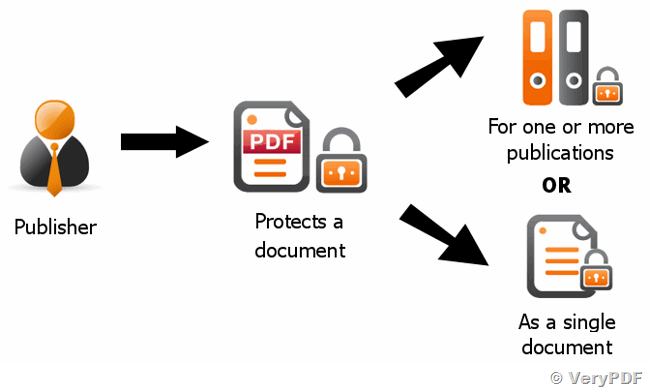 A secure PDF viewer (installed on a computer or no installation from USB) provides smart enforcement of PDF encryption and PDF DRM controls and ensures you and your users are not exposed to PDF security flaws. When you protect PDF files you have to specify the licensing requirements. These are used to enforce PDF controls used to stop copying, prevent printing, disable print screen, and other DRM protection measures used to protect copyright and prevent intellectual property theft. There are some general controls that must always be present. 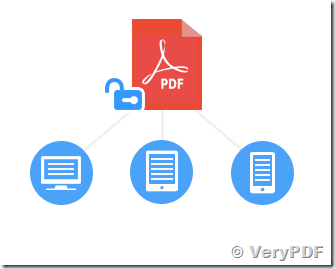 Secured PDF content must always be protected from screenshots and screen grabbing. Secure PDF documents must be locked to individual computers to make sure they cannot be shared. These controls cannot be achieved without the use of application software (a Secure PDF Viewer) that can effectively enforce these requirements. You can check to see which secure PDF controls that have been applied to a document and who the publisher is just by placing the mouse over the protected document, or by right clicking on it, selecting Properties (last option on the panel) and then clicking on the Secure PDF file tab. Users and publishers need to be aware of the secure PDF controls that are available, and that controls may overlap. A list of controls and their impacts is given below. The secure PDF document may no longer be usable after a certain number of days from when you first viewed it, or it may be set to expire on a specific date. The publisher may have prevented use of the secure PDF file on Macintosh operating systems or have prevented printing on Macintosh operating systems. This entry was posted in PDF Security and tagged drm security, pdf drm. Bookmark the permalink. I have about 50 PDF's that I must be online to open and I have to put in a long code as well as UserID and Password to open them. I was hoping to be able to use these on the plane on international trips without internet. Do you have a product that can help me?